After an extended delay due to safety concerns in the campus’ main theater, “Undocumented” is finally on stage at CSUDH. 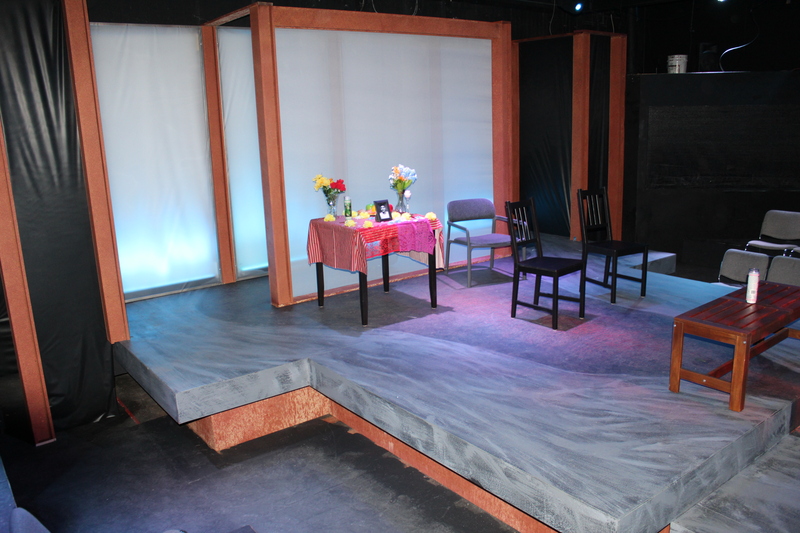 The play, written by Elaine Romero, was originally set to take place in the 444-seat University Theatre last October. But an inspection of the theater discovered “significant safety concerns,” that forced the immediate closure of the space. That meant “Undocumented,” which was supposed to open less than two weeks later, had to be moved to the 60-seat Edison Theatre and rescheduled for this month. It opens its three-weekend run tonight. Director Bill Deluca said it was a difficult process for his cast and crew, since the show was ready to go up and now needed to be reset, but no one ever thought of giving up. The smaller confines mean the visual projections in the show will be projected onto a much smaller wall, and the actors are performing on a stage “tightly in front” of the audience rather than 30 yards away, Deluca said. That means the actor’s presentation must change, particularly their voices. Additionally, the change in projection allows Deluca to experiment with a storytelling technique not always seen in theater productions: using them to show the audience what characters are thinking, but not saying. The play is about a highschool principal who has an undocumented worker living in her house. When the superintendent of the school board, who is an anti-” illegal” immigration, begins questioning the principal about whether she has an undocumented person living in her house, she is forced to make a painful decision. Alex Serrano, who plays Cesar, the undocumented worker, agreed the postponement was difficult, but he chose to embrace it as a challenge. Because the Edison Stage is so smaller, Serrano said the retooled production features more blocking, or actors in motion, in order that no actor blocks anyone else and the audience fully experiences the intense dialogue of the piece. “[The movement] makes it seem more natural though. It seems like it’s a boxing match, you always have to be moving around,” Serrano said. The fact that this fictionalized tale is based on an issue that is at the forefront of national news, from the debate over immigration to President Trump’s demand for a wall, Deluca said makes this a perfect time for this production.